Olive Dragonfly: Save the Date! Since we now had a date and it was less than a year to go already, the wedding frenzy truly started! I began buying wedding magazines and discovering blogs online! I am still doing both of these things and loving every minute of inspiration and general wedding-ness! Got to make the most of it while I can! I began cutting out lots of pictures of the things I truly loved from the stationery to the dresses! 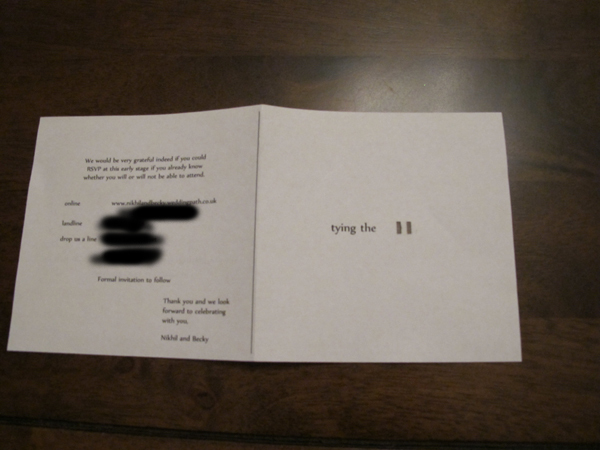 My Mum actually makes hand made cards for a hobby and had always planned on making my invitations for me whenever I got married (more on those later!) 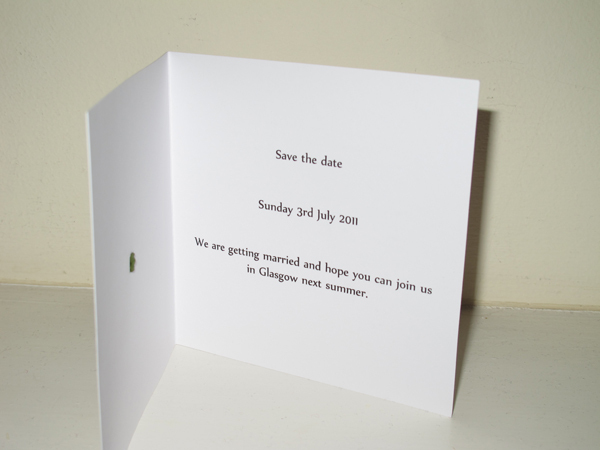 but one of the ideas that stood out to Nik and I for the save the date cards was a very simple minimalist idea of having a blank front page with just 'tying the' typed across the middle with a ribbon tied onto the card in a knot - so 'tying the knot'. 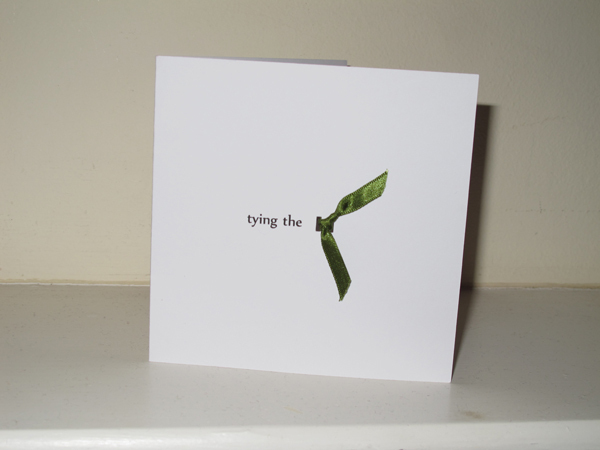 The ribbon also gave us the chance to hint at our colour scheme without giving too much away at such an early stage. We then chose our font and practiced our printing and punching to make sure we got it all in the right place and in the center. 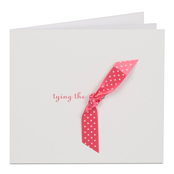 Bargain save the date cards!